These are a bead inside of a bead with the outside being sort of pumpkin shaped and groves. Our birds have not been able to destroy them yet. 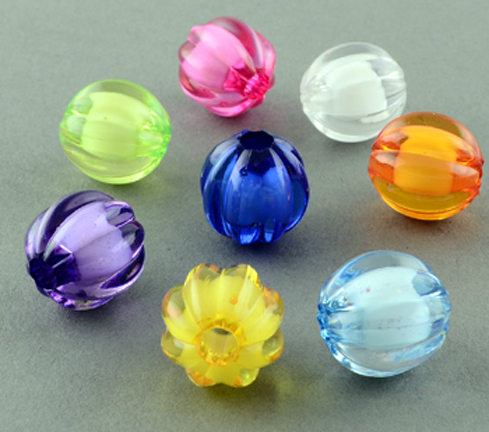 Flower Caps, Blossom Frame, Daisy Frame, Bead Frame, Square Frame, Flower Frame and Petal Bead to name a few. A large hole that works with shoe laces or curly laces, leather lacing or leather strips, paper rope and Paulie Rope! You need to experiment and see what your parrots enjoy ... these bigger beads are harder to pop open and offer a greater challenge for our Busy Beaks! Difficult to destroy, just pick them up and restring!